As opposed to 'grinding', perhaps? Plenty of gamers, including various members of the Nintendo Life team, thoroughly enjoyed Monster Hunter Tri, not least because it was a terrific Wii title that had the impressive scale and online functionality often reserved for its HD rivals. There was a nagging feeling amongst some, however, that the story in the single player game was a flimsy affair thrown in as a loose cover for, 'kill lots of monsters and grind to fight even bigger monsters'. The task may have been to save a village, but did anyone actually care about the village? In a Famitsu interview (interpreted by Andriasang), director Kaname Fujioka has promised that the single player campaign will feel more like a fully-fledged adventure, with drama and significant story progressions being combined with the most NPCs (non-playable characters) in the history of the franchise. The base this time will be called 'Barubare', and will actually be a group of caravans that moves from area to area, making opportunities for narrative a bit more varied than in the third entry. Other details to emerge include the implementation of a free camera to to show the different levels in environments, jump attacks and enemies that react more naturally to sloped terrain. The water-based battles from Tri won't feature, however, and so far information has only referred to local multiplayer for up to four hunters, though we should stress that it's still possible that online multiplayer will be included. We still don't know, of course, whether this title will be released outside of Japan, but we'd like to be optimistic. In case you missed it at the weekend the trailer is below, and the monster with the big ears is called 'Kecha Wacha', if you wanted to know. Well it's certainly not all about the visuals.. I liked Tri enough but then again I gave up after finally killing that first stupid big bird boss. No lock on, time limit, heat issues, and navigating that stupid map all over the place drove me crazy. Took me about a dozen tries so I figure I'ld never beat the next boss. Up until then was fun though. But yeah, I would welcome more of a story. But I always welcome more of a story. It's why I liked Jak and Dater over Mario 64, Metroid Prime 3 over 1 and 2, and I really loved Starfox Adventures. There's nothing to lose by having NPCs to talk to and stories and characters to care about. I even enjoyed my littl tunneling sidekick in MH Tri. I ended up not getting tri, don't know why really, this game looks like it could be a whole lot of fun. I'd love it to be localized. The water based hunts in Tri were the least exciting. Glad to see them go away in 4. Honestly, MH series has never been about story. Nor, imho, it should ever be. 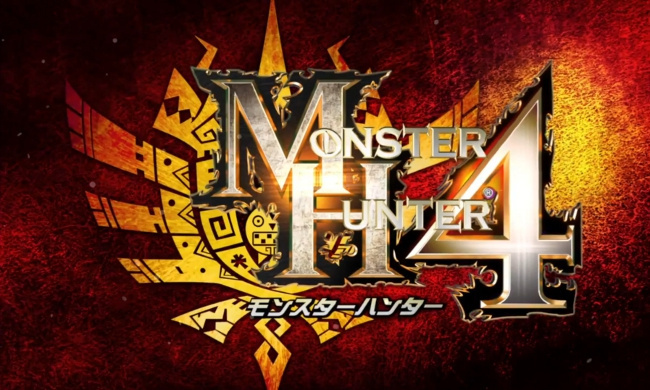 The story in MH is the gameplay itself: you are a hunter, you hunt. It's like writing a plot for Tetris. Can it be done? Probably yes. Should it be done? Probably not. Anyway, here's hoping for a western release of any late MH title. 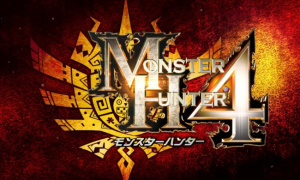 I don't know how I feel about MH4 being too story-focused, but I'd be happy if there was less grinding. I hated having to fight the same monsters over and over and over to get enough of an "ingredient" to make a new armor. 1-3 times, great. 6-8 times, not so great. I love the 3DS' color palette. As a matter of fact, that new interest in making a story and make the single player campaign more meaty leads me to think that it may compensate for lack of online play. I hope they can prove me wrong. I am....underwhelmed. I actually don't like this series to begin with. No online multiplayer no buy. 3ds, monster hunter, new game play i really want this i have been a fan since tri just hope the game play is as hard and as long cant wait then i can put down my resident evil revelations and play another capcom masterpiece. I've give up on Capcom and this whole Monster Hunter fiasco. I just won a bid for a Japanese 3DS and I'm just going to import 3G and 4 when its out. Might cost me a bomb, but its not like Capcom are going to release them here. I waited for ages for MHP3rd to be released outside of Japan; hearing rumours that it would....it didn't. Its playable even in Japanese and there are some sites that are dedicated to translating the game already. If you have the $, look into it and just do it. Just announce its for America, and I'll worry about the adventure later. Tri is the best game on Wii, and I want more. I played Tri 338 hours. I beated all the online and offline-Quests. I never had such an experience with a video game. Thats why I really want an EU-Release, because I know how great this Game is. But why the hell Capcom does not say something official? "Hey you guys over there, its gonna come, but takes a while." That would be enough for me. But - nothing. Not even a short message. Does that mean there won't be Zones anymore? I hope there are zones and i hope customization is the same or better played all monster hunter games but tri was special and the game that made me a fan. I think capcom have to go in a new direction now to keep it fresh just like final fantasy, mario, and resident evil those game wouldn't be around now if they didn't change in any way this could be a good thing. I never was a fan of ongoing or excessive grinding. This might end up being the first MH that I finally get. I gave up after Portable 3rd. I still want to play Tri G, and this too... but i've given up on Capcom. I can't even import without buying a second 3DS! If we all keep complaining about the lack of online, Capcom is just going to keep these games in Japan. Seriously, we can survive without it. When it comes to a new MH game coming out; We have to foucs on what really matters, sure we can give it all its praise it deserves, the game would set the expectation, then there would be thous who see what is neccecary for a new game to have. Wheater it is new dragons, new gameplay, all the little things that are only metioned by those few who know why they must comment. To say it simple.. Those who have been chosen to create the next generation of MH should see it as if MH4 "is" the last game the ever going to make, which means to know how to do it right, make the game how its suppose to be, yet the closes to perfect, not just an opportunity to change themes. Personaly I cant wait for this game yet not for the facts that stand alone, but by fate. Yet going pass all the resonable seriousness... as far as I know about the game, all I ask for that should be changed is; One. Let it be for Ps3, as it should be. Two. Aftr playing both MHTri and MHunited, I seriously find the little cat partners really annoying. & Three, which I see very unlikely to happen is., for the Al to be a baby version of any Dragon, hmm.. now wouldn't that be awsome. "Hope your reading Capcom"
I welcome the idea of a story. And if online is not an option for 3DS (which I believe it is capable of) then I hope the game has just as many monsters as MHFU had available, especially with how the monsters behaviors varried depending on your HR. I really do hope this comes out in the U.S.